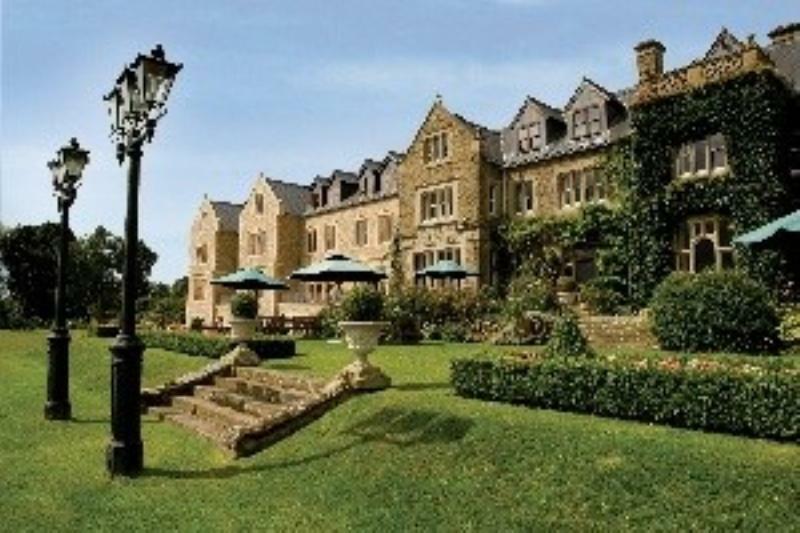 South Lodge Hotel in the village of Lower Beeding is a magnificent country house hotel which has two award winning restaurants, The Pass and the Camellia restaurant. A 100-year-old camellia holds pride of place on the south-facing terrace of this splendidly restored Georgian mansion, which was built as a family home in 1883. And that's not all: some 260 varieties of rhododendron, azaleas and other glorious specimens flourish in the expansive grounds surrounding the hotel. The kitchen makes productive use of pickings from the walled garden, and you can taste the results in the aptly named Camellia Country Kitchen. High-quality local ingredients also make an impact, although the cooking has noticeable European and Mediterranean leanings. You might start with pan-fried veal sweetbread with a wild mushroom croquette and Puy lentils or diver-caught scallops with sun-blush tomato tarte Tatin and pistachio pesto before sampling home-smoked wood pigeon on a peach and pear compote with braised fennel and tarragon jus. As a finale, consider chilled apple and cinnamon soufflé or pear and almond tart with a spice cake and bourbon vanilla ice cream. Views of the South Downs add to the pleasure of a meal, and the classy, well chosen wine list plays more than a supporting role in proceedings. The Pass is the second fine-dining restaurant and it has its own chef, Matt Gillan, who specialises in tasting menus served in the heart of the kitchen; typical dishes might include vanilla confit salmon with lobster beignet and aniseed emulsion, saddle of venison with parsnip purée, honey-roast parsnips and morels, and pistachio cheesecake with lime confit and chocolate bon bons. 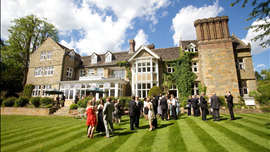 Ockenden Manor at Cuckfield is all about understated class and elegance and this fine-looking sixteenth-century manor, set amid nine acres of impeccably maintained grounds, is a joy to behold.